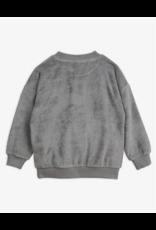 In grey, this sweatshirt is knitted from GOTS certified organic cotton terry. The fabric is easy to care for, keeps shape and has moisture-wicking properties to keep the skin dry. 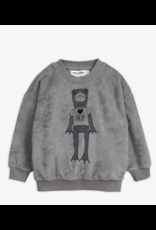 Featuring a large screen-print frog appliqé at front. The sweatshirt is finished with rib trims at neck, cuffs and hem. 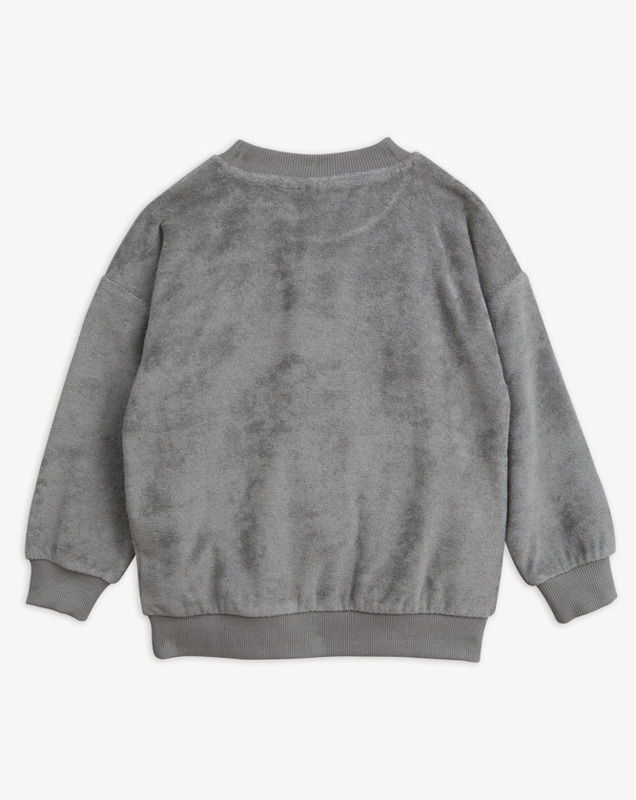 • 80 % organic cotton, 20% polyester • GOTS certified • Made in Turkey This sweatshirt is produced in a factory where Mini Rodini has implemented living wages. Instead of paying the workers just the minimum, which is almost impossible to live on, we pay a wage that is high enough to maintain a normal standard of living. Since we are working with products that are mainly used by children, the control of chemical use is of the utmost importance to us. 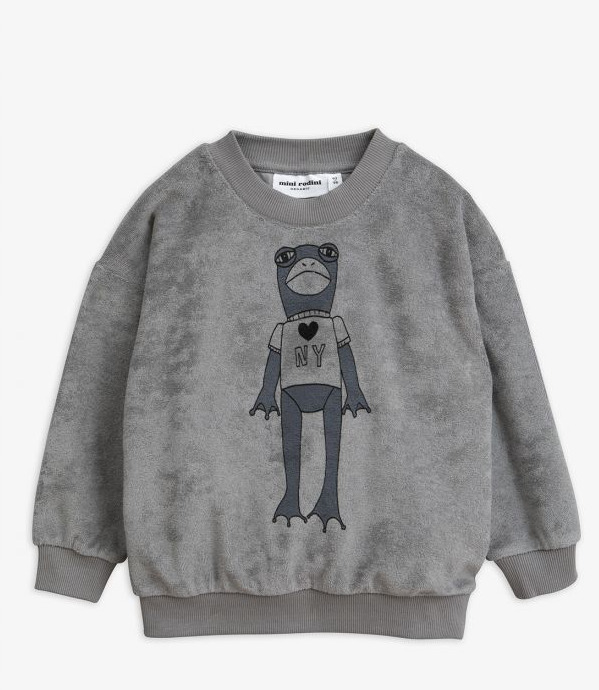 This sweatshirt is GOTS certified – the strictest certification for organic materials on the market today, which involves rigid controls throughout the entire manufacturing process including chemical use and working conditions.